Martin Luther King Jr. once said that our lives begin to end the day we become silent about things that matter. Now, one thing is clear – once again we have opened our Pandora box. It is going to be hard to wish it back. However, it is quite unfortunate that those without principles and for whom sycophancy is second nature, have resolved to be praise singers frothing in the mouth and muddling up the central issue of President Koroma’s controversial, deliberate and systematic attempt to shape socio-political perceptions, manipulate cognition and direct the nation’s behaviour in favour of his personal agenda in such a scandalous manner that could tear the nation down. It would have been comical if it weren’t so tragic for our democracy, that governance would be reduced to a cynical attitude consistent with his alter ego. Right or wrong, there was no expediency in a bizarre recurring war of attrition, which is not over public policy, but over unbridled ambition and lust for power that is further putting asunder, the fragile seams of our democracy. It would be hard to find a better expression of the tragedy of our quintessential democracy, blabbed as one of the achievements of the present administration, than the bleak and damning excuses of the puerile and laughable drama; which continues to elicit national passion and is fast descending into a theatrical distraction. The whole episode is a fleeting notoriety which typifies the shallowness, vanity and eternal ‘mine-is-the-only-reality’ perception of our leaders. 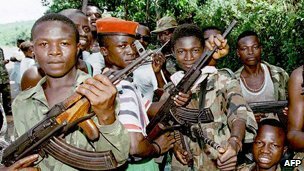 Take a paralysed nation, a determined, enraged, and merciless ruling triumvirate of the President, the APC and Sam Sumana plus the apparatus of government; add a media cabal with proxy war players and an opposition torn apart by in-fighting and struggling to be heard above the din – welcome to 2015 Sierra Leone. Whether it is the past, whose ghost is now being resurrected from what we believed was a fading oblivion; or a future which had begun to dawn in the present, but whose glory is being threatened to be snuffed out on the ritualistic altar of our leaders, the nation could have been saved the troubles of the manipulations and perfidies that were and are being employed to push through their devious plan. 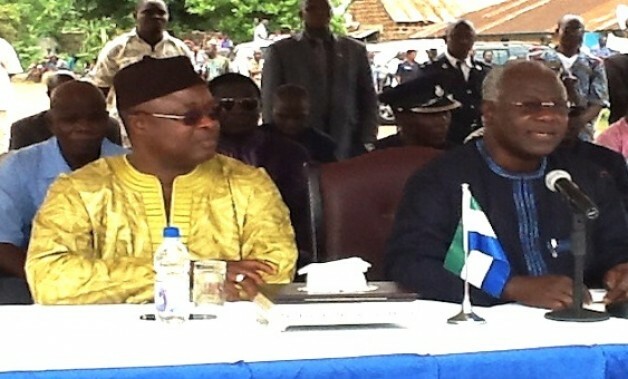 What has Sierra Leone been reduced to? We laugh and joke, but systematically, the country is being turned into a fiefdom and our hopes for better governance, reduced to ashes. The little bastion of decency we have left is being obliterated right before us and under our noses, and we are left with living in the fragments of long held traditions and institutions. Our leaders must think nothing of Sierra Leoneans. Even if not, why are we being mocked in this way? Are we now finally and firmly confirmed a banana republic, where those in power misbehave and shirk their responsibilities, because ‘they can’? As a result of our failure to fight for accountability, our leaders appear very happy because the anarchic and archaic socio-political environment is conducive to their predatory instincts. Our conscience has been beclouded with religious and ethnic sentiments. Our sense of judgement and reason has been blinded by poverty. So many of those who should be role models or who should fight for a saner society, choose to mortgage our national tomorrow and the future of our children for personal interests and a share of the stolen commonwealth. The predators have created a paradise for themselves at the expense of the generality of the people. A bastardised version of democracy is in operation, because the checks and balances have been effectively crippled by corruption, and the holders of the other arms of government have compromised their oversight duties in a grand conspiracy against our society. We seriously need God’s divine intervention if we are ever to become a new creation and allow old things to pass away. Agreed, that one of the diabolical reasons that things are the way they are in our body polity is that, we have been conditioned to accept that politics is a sphere of control-freaks, who are able to determine the fate of others with a stroke of the pen; or by throwing rivals out of the window. So whatever happens in that realm is not any of our business. Fair enough, democracy has never been the way of life in our part of the world. It is a culture that we have continued to struggle with because power is might. This is why we are like a child with stunted growth. Our leaders have always marched to their own drumbeat rather than the hard graft of government or policies that elevate majority of the downtrodden. Shakespeare said: “Never play with the feelings of others, because you may win the game, but the risk is that you will surely lose the person for a life time”. He didn’t take the African into consideration. Why are those in the hierarchy of government and the ruling party squandering the little goodwill they’ve got left, following the Ebola invasion? 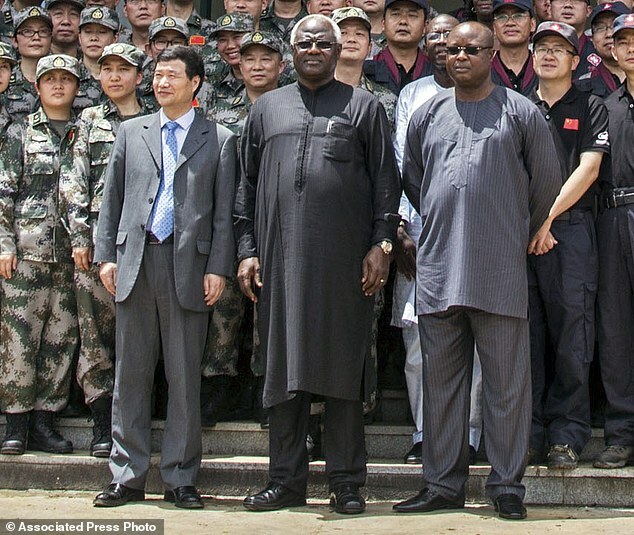 The APC and President Koroma were under no pressure, except that the self-imposed confinement of Sumana indeed made them look bad in front of their global friends. It appeared to be the last straw. 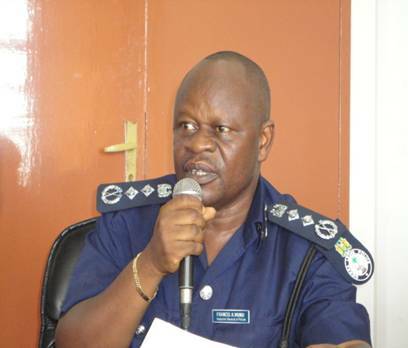 However, the issue at stake is not Sam Sumana per se – as apologists would like to make out. 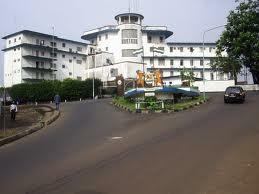 Neither is it the authoritarian power of President Koroma to make and unmake. It is simply about power holders – always standing ready to ignite the keg of gun powder, just because there is no one to challenge them and all institutions of state have been put firmly in the back pocket of the executive. The high octane of intrigues, twists and turns; bitter rivalry, pursuit of power and greed which have been an inherent feature of our political turf and a barrier against the institutionalisation of good governance, has definitely reached a perilous nadir with the latest faux pas by President Koroma and the ruling APC party. True politics is dirty and it’s a whole lot messier in a society that has suffered moral degeneration and where the ends alone justify the means. However, the hedonistic traits of those often saddled with the remit to do away with our cloak and dagger political addiction, have remained a constant factor of our socio-political under-development. This latest destructive and bare-faced constitutional recklessness also epitomises our historical descent to hell. It alludes to the perversion of the very fabric of our nation and the penchant of our leaders to suffer complete amnesia that no matter what, how, why or when, governments come and governments go – while life is cyclic. Power is also transient. Sadly, we have always been saddled with several political impostors. It is also rather unfortunate that we have suddenly been reminded of the fact that when it comes to the democratic highway, our political leaders have failed to learn anything from our past mistakes, so that generations unborn will never again be political slaves captured like booty in a dogmatic war. How sad that, as a result, respect for the highest office in the land has plummeted and once more, Sierra Leone is faced with the past that it would like to forget. The question we should ask is not how we got into this present quagmire. We should be more concerned about how to get out and move forward; how to chart a new course that will not be easily reversed by political pretenders; and about how to make our democracy and the rule of law, work as it should – based on justice, equity and fair play. 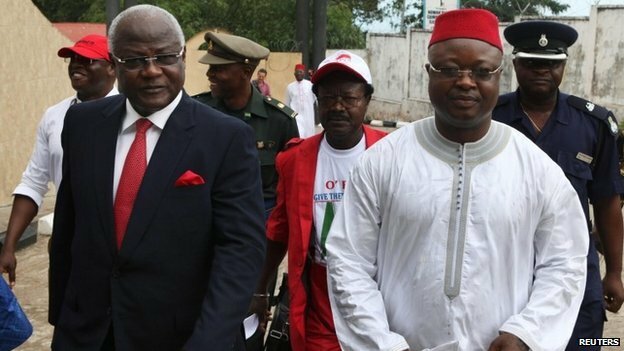 My fear is that after much heehawing and threats from the many soap operas that have sprung from the Koroma- Sumana titillation, the current public outcry will simply fizzle out, leaving all discerning minds more bewildered. With a majority APC members in a wimpy parliament, it is extremely difficult to see how the ‘house’ as presently constituted can rise up to their constitutionally-assigned responsibility and resolve the current political impasse, by calling for the restoration of the duly elected Vice President as opposed to the installation of a plastic VeePee. Rather, what is obviously going to happen if at all, is the commencement and endorsement of an impeachment process against the erstwhile holder of the office. And obviously, maize cannot get justice in the chicken’s court. The dilemma in which Sam Sumana finds himself is like that of a bird that falls in love with a fish and does not know where to cast its nest. The ‘persecution’ has made Sumana more popular, elevating him to the pantheon of prophets – always prosecuted by the political authorities of their time. Unwittingly for the APC, this is the same ‘lynchpin’ of the ‘timbergate’ saga now turned into an uncommon hero. A hundred and ten years ago, Churchill observed that the dignity of a leader, like a lady’s virtue was not susceptible of partial diminution. I am not quite sure if there is someone somewhere pulling the strings. But, President Koroma’s erratic decision against all odds and in the face of overwhelming national challenges, to not only fight naked in public but to also battle dirty, is akin to that of a man putting an albatross round his own neck. Under the cloud of the present issue, which has been an open secret for years but which the President himself lied copiously to the nation repeatedly, this open fight diminishes the stature of the post and its holder. Shakespeare reminded us that, ‘one should never play with the feelings of others, because you may win the game but the risk is that you will surely lose the person for a life time’. In this instant, the unwarranted imbroglio has seen everyone united by a bleak future, against the government and the ruling party who appear to have set the bar high, when it comes to patronising deceit and hanging a smokescreen to disguise its contempt for its own AGENDA FOR CHANGE. A signboard outside a restaurant reads: “Eat as much as you can, your grandchildren will pay the Bill”… A man entered the restaurant and ate as he could, got a toothpick and was relaxing when the waiter gave him the bill. He laughed and pointed to the signboard, don’t you see, “only my grandchildren will pay” the waiter replied, “This is not your bill, it’s your grandfather’s Bill”. Today, as a nation, which has in the last few years or decades been lying on its belly severely challenged, reels under a sucker punch from its leader, it has become obvious that we are paying the bill of our own political grandfather, in the name of Siaka Stevens whose political sins of omission and commission is the bill being presented by an offspring – Ernest Bai Koroma and his ruling party. Sierra Leoneans at home and abroad, it is time to think about how each one of us will affect the unborn generations positively. The ball is in the court of patriots – including our lawmakers, not just those of the opposition alone, to decide on what side of history they want to be associated with. This is a decision that will eventually affect and shape the destiny of our country. Ask yourself what you will be saying to your unborn children and grandchildren when they ask you in future where you were or what you did, when the opportunity arose for your voice to be heard against oppression and impunity by our leaders; for a new beginning in our politics; for decency and adherence to the rule of law; and for respect for the body polity. How many democratically civilised nations do you see, where the police cannot confront those that tease the bull with a red tea towel, threaten the public – who happen to be their paymaster, with fire and brimstone, even when it is for a legitimate public interest? It is not essential that you engage in politics or your being a professional politician belonging to any of the divide, to understand that democratic civilisation and progress shouldn’t be different politically for our country. Collectively and individually, we should be standing up for the destiny of the nation, its future and that of this and succeeding generations. We cannot entrench a decent society by doing the same dance – on and on. So Tejan Kabbah tore up the constitution to have his way? 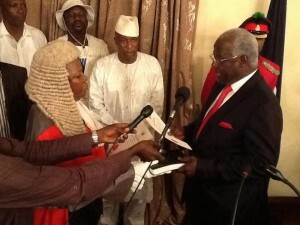 Must Ernest Koroma who promised attitudinal change also do likewise? Where and when then will the impunity and madness stop? If we cannot voice national outrage, who will challenge our lords and masters who beat their chests in total disregard for what we think should be the right thing? Who will challenge the hunter who keeps killing our animals? The consequences of not doing so can portend consequences far beyond the immediate comprehension. This I believe is an opportunity for a new dawn in our body politic. But we cannot allow ourselves to be cowed by politicians with personality disorder. As is being touted, the fundamental error of former President Kabbah, is coming back to haunt us in the faux grandeur of the present political impasse, where the President has ended up putting a rat as a watchman over a morsel of fish. To fellow Sierra Leoneans, look around you. Something is slowly destroying the quality and character of our nation and its psyche, so much so that, no one dares to be daringly divergent. And, the central defining issue of any society about who gets to decide what the priorities are, has become lost in the foggy and murky world of those who promised to serve us. Great occasions do not make heroes or cowards. They simply unveil them. Raymond, only you can say so without recourse. And here you’ve said it all . But one thing is clear- we all seem to lack what we like to see in good governance. The only country on the west coast that’s still toddling. We probably deserve all these horrible leaders we continue to endorse.